Dogs are preprogrammed to leave the nest to eliminate. Their mothers start to reinforce this behavior around three weeks of age. The exception to this rule can be the pet store pup, as some kennels are not cleaned as often as they should be and the result is that a puppy (or adult dog) learns to eliminate where they eat and sleep. This behavior can certainly be corrected, but will take a bit longer. What we want to do is teach your puppy that his nest includes the whole house. The rule of thumb with puppies is: take their age in months, add one, and that is the number of hours the puppy can hold it during the day (i.e. a four month old puppy can be expected to be clean for five hours). However, keep in mind that pups that are up and playing a lot might need to go out much sooner. The “age in months plus one” rule tends to be true for time spent alone in the crate during the day while you’re at work – not while you’re at home and your pup is up and about. Puppies might not be able to last through an eight hour night until they are about four months old (and this varies from pup to pup), so if you’re crating your pup at night, you can expect that he will probably wake you midway through the night to go out. When this happens, take him. He’s letting you know he needs to go out, so reward him for doing the right thing. The old “make him learn to hold it” rule doesn’t work. If you ignore his cries, you’ll wind up with a wet and distressed puppy. -For reasons that go beyond housetraining (i.e. chewing), never leave your young pup unsupervised in the house. He should, in fact, only have supervised playtime after he has eliminated in the right place. Once again, preventing accidents will hurry along your process. -Keep his diet consistent and simple. This does not mean you can’t give him treats. You need treats for training, so factor that into what is going to be his consistent intake. -Punishment after the fact doesn’t work. First of all, puppies have very little control over their bodies – suddenly they have to go. Accidents will happen, possibly for the first year of your dog’s life. If you come home and punish your pup for something he did three hours ago, he doesn’t make the connection you want him to. The connection he makes is that he gets in trouble when you come home, which is not a good way to build a positive relationship with your little one. The end result is that he doesn’t learn what you want him to, but he does start to feel anxious about your arrival. -A stressed puppy cannot learn. -Your pup will quickly learn to hide from you when going in the house. Always clean the soiled spot with Nature’s Miracle or any other product specifically designed for pets. Many household cleaners contain ammonia, which can prompt your pup to use that spot again. Along with preventing accidents, you will need to strongly reinforce the behavior you want. 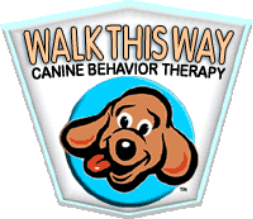 Give your puppy a command to associate with eliminating (“go potty” or “hurry up” are usually used). Every time he goes in the right place, repeat the word or phrase while he’s going (“good hurry up”), and as soon as he’s done give him a tasty treat. When your puppy grows up, he’ll eliminate on command, which is useful on cold winter days. - Go outside with him if you have a yard. If you send him out on his own, he’ll either spend his time looking for you or chasing bunnies. Then when he comes back inside, he’ll do his business. - Don’t go outside for a forty-five minute walk. Your pup will forget all about what he’s supposed to be doing. He’ll be chasing leaves, saying hello to strangers, and picking up cigarette butts – then he’ll come back into your nice quiet home and eliminate. Go outside for a couple of minutes. If he doesn’t go immediately, bring him back in but make sure he doesn’t have access to the floor! If your little one already has a habit of accomplishing nothing outside and relieving himself as soon as you return home, try the following: Go outside for those two minutes, come back inside for ten minutes (or whatever you think is appropriate), then go back outside. - Don’t immediately bring him inside after he’s made his mark. Go for a walk or play a game. How you choose to confine your puppy is up to you, and usually depends on what your space situation is. Personally, I prefer using both a playpen and a crate. The crate serves as a den-like home for your puppy. This is a place he can go to rest, get away from children, and generally feel safe. (Only use the crate if your puppy likes it. If he’s uncertain, seek professional help acclimating him to it.) Ideally, if you have the space for it, place the crate inside a playpen area if your pup is under four months of age. The reason for this is so that your puppy has just enough space for his crate, his bowls, and a small area to use the toilet. This is also good for puppies that don’t sleep in the bedroom with you and therefore cannot wake you up in the middle of the night when they need to go out. Cover the small bathroom area with pads or newspapers. If you’re allowing a large space, you’ll need to cover the entire area, gradually reducing the coverage over several days or weeks to a smaller spot. Housetraining, especially if you live in a city, can prove to be one of the most frustrating aspects of raising a puppy. Be patient and don’t expect perfection for a few months. And lastly, don’t be surprised by relapses, especially during times of stress or change in either the household or in your dog.